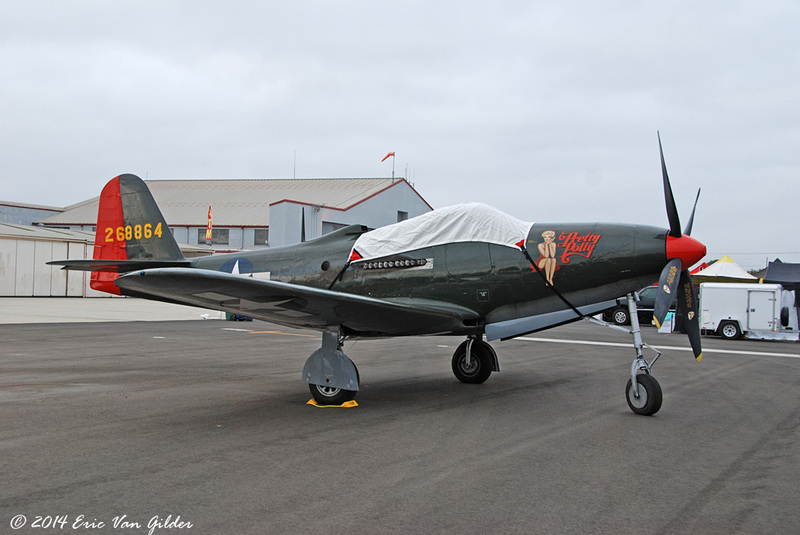 The Bell P-63 King Cobra is the further development of the P-39 Airacobra. It is a bit bigger than the Airacobra and it is also faster. The King Cobra was popular with the Soviet Union, who used it for ground attack and some dogfighting. 3,300 King Cobras were built during the war. 2,400 went to the Soviet Union, 300 to the Free French forces and the rest went to training units of the USAAC. 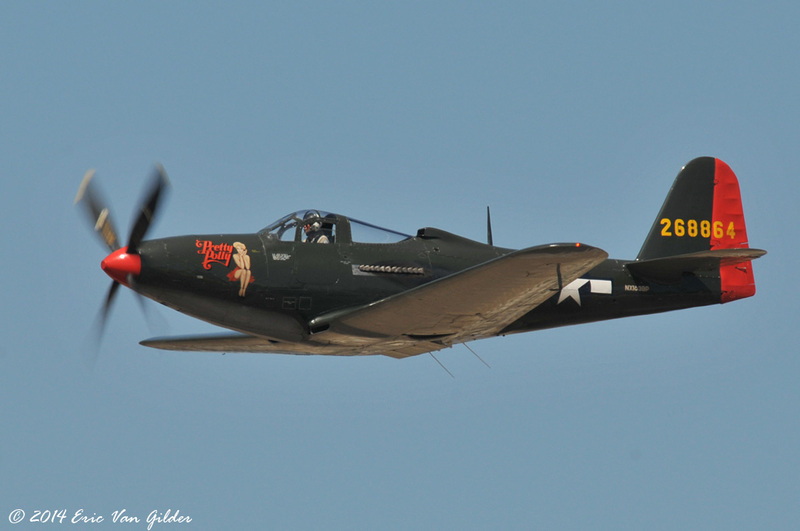 The P-63 never saw combat service for the United States. 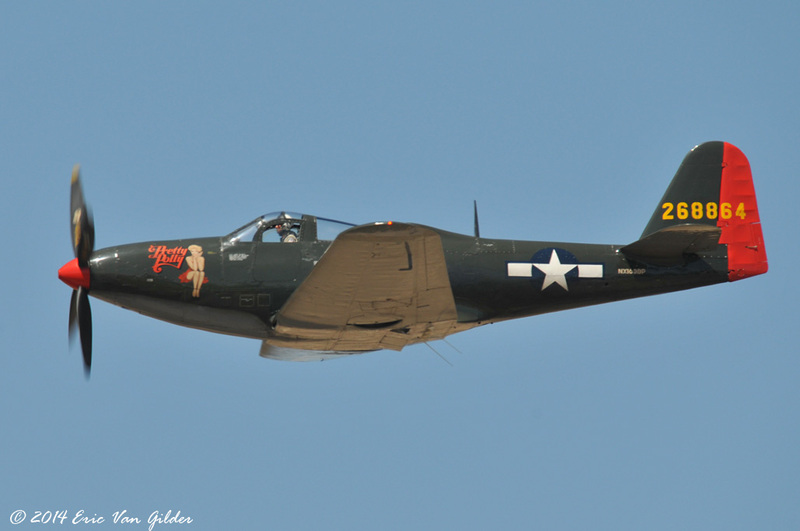 About 6 or so remain today, including this one, which is owned and operated by the Planes of Fame museum in Chino.